High Power MAG Diver Transceiver, 70 watts, without secure comm. Includes battery and charger. 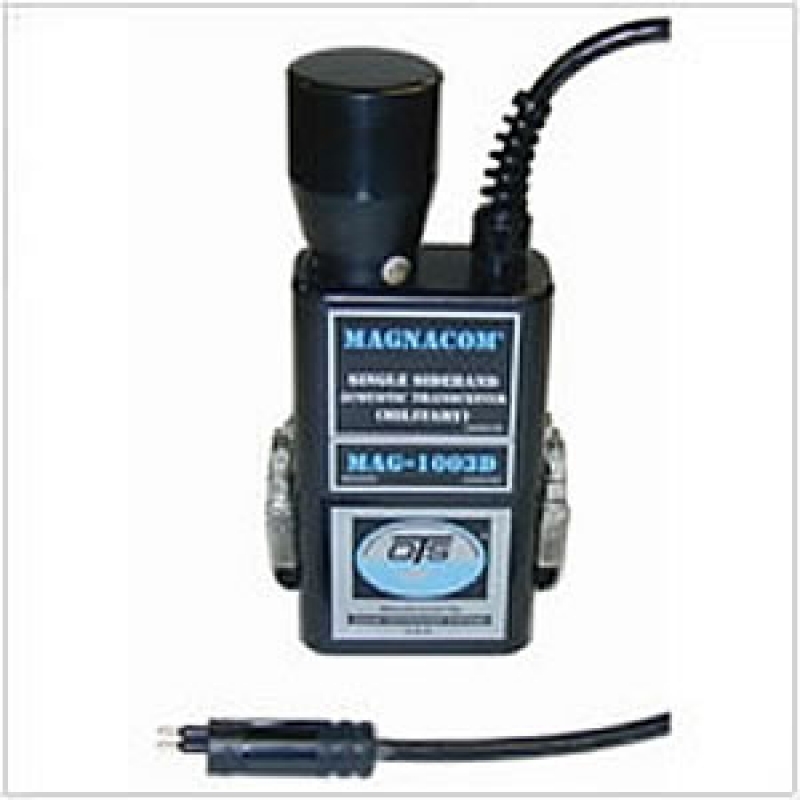 A through-water unit only, the Magnacom® MAG-1003D is a variation of our Magnacom® SW-1000-SC without secure communications. It features dual channels and comes standard with rechargeable NiMH batteries and a charger. With an output power (PEP) of 70 watts, in ideal conditions, the Magnacom® MAG-1003D has a range of 6000m. Channel A: 6,000m in calm sea, 1,000m in sea state 6. Channel B: 1,000m in calm sea: 100m in sea state 6. Note: Environmental variability such as that caused by biological noise and interference, thermoclines, etc., can reduce range. H: 8.5", W: 4.50", D: 2.25"